DAR ES SALAAM, Tanzania, November 8, 2013/African Press Organization (APO)/ -- Tigo (http://www.tigo.co.tz) in partnership with Swedish non-profit organization Reach for Change launched today the 'Tigo Reach for Change' initiative, which focuses on identifying and supporting local social entrepreneurs with solid ideas on improving the lives of Tanzanian children. Tigo Tanzania General Manager Mr. Diego Gutierrez said, “Statistics show that children less than 18 years of age constitute almost half of Tanzania's population. But to date the investment in addressing their needs is not proportionate with their share of the population or their role as tomorrow's leaders and human capital. Investing in children is the single most important investment in national development''. Interested candidates are invited to present their innovative ideas online by applying through the Tigo Tanzania website: http://www.tigo.co.tz. Each application will be reviewed by a panel of experts and the strongest and most promising applicant will be invited to join a three year incubator programme where their ideas will be transformed into sustainable ventures. In addition to this, they will receive funding of USD 25,000 a year for up to three years, as well as mentoring and professional advice from senior employees of Tigo. For the duration of the 3 years programme the social entrepreneur's business idea will undergo evaluation to ensure that they attain required key performance indicators until their project is fully developed and self-sustainable. Children in Tanzania have right to participation, development, protection, freedom from discrimination and an identity. “Despite the progress made to date in fulfilling these rights a lot need to be done to ensure children grow to their full potential hence become contributing members of the society. We are determined to address challenges which hinder children development/realization of their rights by empowering local individuals with solutions that will improve lives of children. We believe that local problems are better solved by local individuals who thoroughly understand the issues at hand. This is the second year in a row that we are partnering with Reach for Change and there has been great impact from the winning projects from last year. We are looking forward to this year's applications with great expectation", said Woinde Shisael, Tigo's Corporate Responsibility Manager. Last year's program received over 1000 applications. The three winning projects included an initiative to empower children with disabilities with vocational skills; mobile classes for street children; and a project aimed at bridging the rural-urban digital divide. All the projects are still ongoing and are changing the lives of many children across Tanzania. Reach for Change is a non-profit organization established in Sweden and co-founded by Kinnevik, the founding company of Millicom. The search for social entrepreneurs first began in Sweden in 2010, followed by Russia in 2011, before embarking, in that same year, as a pilot project for Africa in Ghana, which has recently reported an improvement in the livelihoods of over 140,000 children. 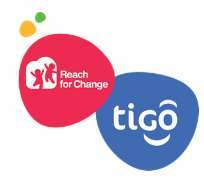 Tigo (http://www.tigo.co.tz) started operations in 1994 as the first cellular network in Tanzania. It now covers 30 regions in mainland Tanzania and Zanzibar. Tigo strives to be Tanzania's most innovative mobile phone operator, offering services ranging from affordable mobile voice communications to high speed Internet access and mobile financial services through Tigo Pesa. Tigo is part of Millicom International Cellular S.A (MIC) which provides affordable, widely accessible and readily available cellular telephony services to more than 45 million customers in 13 emerging markets in Africa and Latin America. The success of Tigo is based on the "Triple A" strategy, which stands for Affordability, Accessibility and Availability. We create a world where mobile services are affordable, accessible and available everywhere and to all. This guarantees that our subscribers experience the best services at the most affordable rates throughout our 30 regions in both Tanzania Mainland and Zanzibar.